Upcoming seniors... I know. I know. It's summer. You don't want to be thinking about school especially college, but you have to be thinking about it. Before you know it, the sun will set on summer, and senior year will start and that means college applications will start. Everyone I know says doing college apps is like taking another class, which in addition to all those APs you're taking is not fun. To lower stress levels at the beginning of the year, you need to start preparing now. If you do these simple six and a half steps, you have a huge jump start on applying! I blurred about personal information. One of the requirements for my research project in the fall was to create a resume. 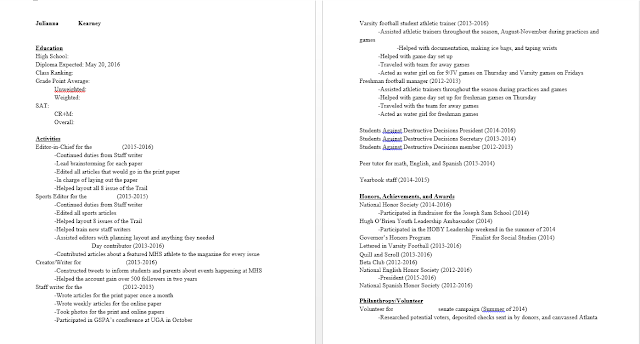 Then throughout the year, I've added to it and edited it. Some colleges require you to send in one, so you want to make that piece of paper show off all you've done. Here's some good advice about college and resumes. 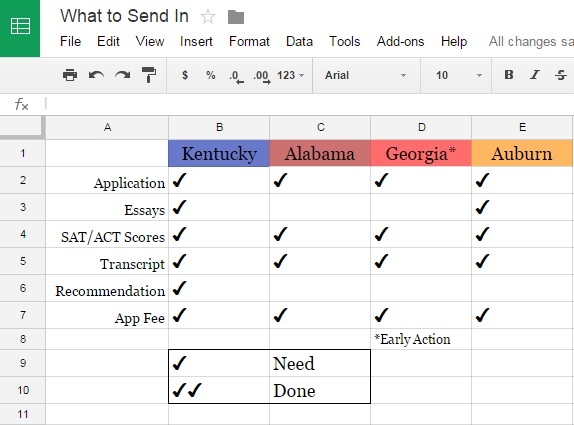 Even if the college you're applying to doesn't require one, they help for teachers when writing recs. We will talk about those later. Do you know how much it cost to send in a college app? $50. So say you're applying to 10+ schools, that's $500 or more... I don't know about y'all, but that's a lot. CollegeBoard suggests applying to five to eight schools, and eight still seems like a lot, but to each her own. One of my favorite features on College Confidential is the SuperMatch. It allows you to see how different schools match up to your wish list. You can enter the location and size of the school, whether it has a certain sport, or if it has a party scene, and then you can rank on how important it is to you. For me, colleges that were 99% (it's hard to have 100%) are Auburn, UGA, Kentucky, and Alabama. Those are all schools I am applying to in the fall. A school like Penn, where my brother went, does not make sense for me because it only gave me a 40% match, so Penn should not be added to my list of places to apply. 3. What does the college need? If you don't know it, like me, find your Social Security Number. (Then memorize it.) Request official transcripts this summer. Get your score report from your high school. CollegeBoard lets you see what scores have been sent in to colleges. If you go to the AP section, you can view your order history. I know for the SAT you can send in at most four schools for free, and for AP testing, it's one. All additional orders cost a fee. So make you've sent all your scores to the schools you're applying to! I would wait to do AP testing after scores come out in July because you should only send them in if they help you in any way! 5. Talk to teachers about recs NOW! Teachers have lives outside of school, and chances are if you ask a teacher for a rec, another kid is going to ask them too. You want to secure a recommendation because I know some teachers have limits on how many they will write. I asked my teacher at the end of school. ALSO, make sure to ask if they will write you a good one. That's so important. College is expensive. Start looking at scholarships you can apply to whether they're school ones or ones from outside sources. One of my friends said she wished she has looked at scholarships earlier. 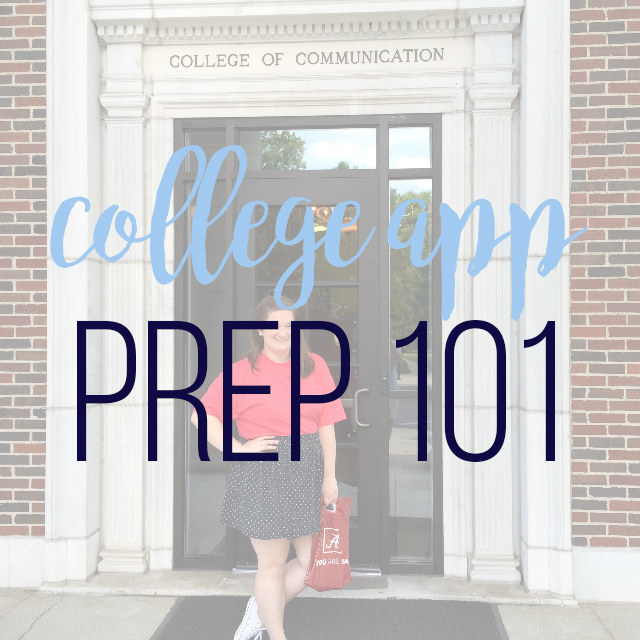 Here are some tips from CollegeBoard about the actual application process! And here's a more in-depth checklist for applications! I suggest modifying it for your needs.